Here at the Inside Scoop, we know that coffee is pretty much life. Whether you’re needing to kickstart your busy day, enjoying an after dinner decaf, or literally fueling a cross-country move, a cup of Joe can make anything happen. 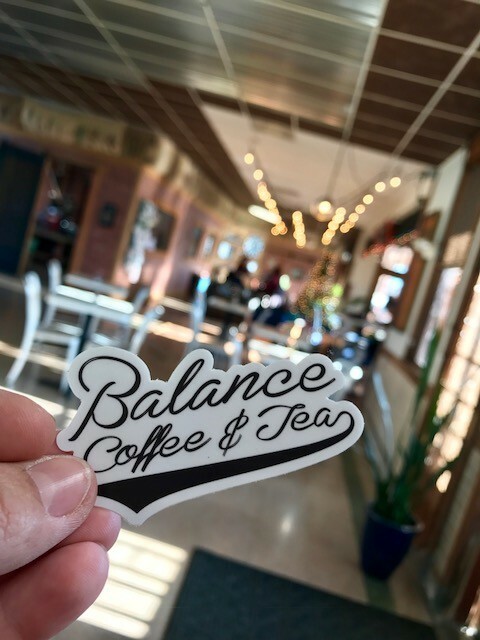 And that’s where Balance Coffee & Tea in Belleville, IL comes into play. 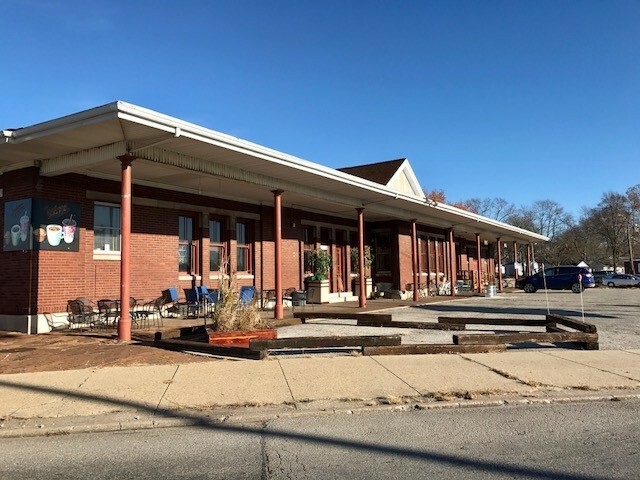 Housed in an impossibly hip old train depot, Balance operates under three main tenants: belief in a quality product, living and working sustainably, and creating a space that evokes a big-city vibe while still existing in a small town. If it were a bar (and there’s more on that front…), it would be the type of place where everybody knows your name. Balance totally understands that they face stiff competition from big-box chains. “We know our corporate competition has a high appeal in terms of timeliness, price, and product,” Marshall explains. 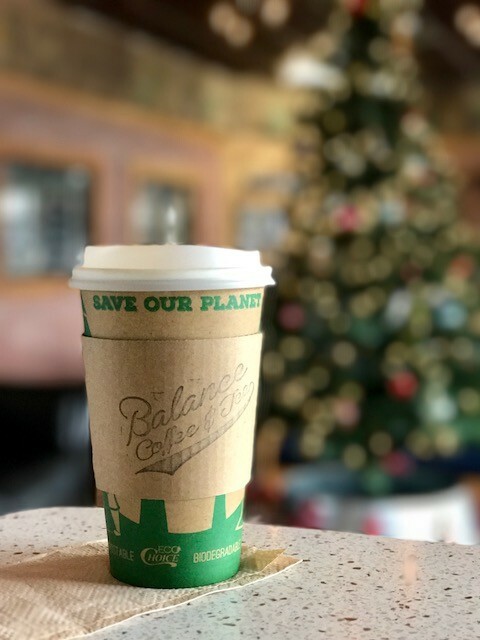 “In turn, every process within a small business has to be done to the best of our ability.” And that’s why Balance Coffee & Tea is so much more than a quick, average cuppa. 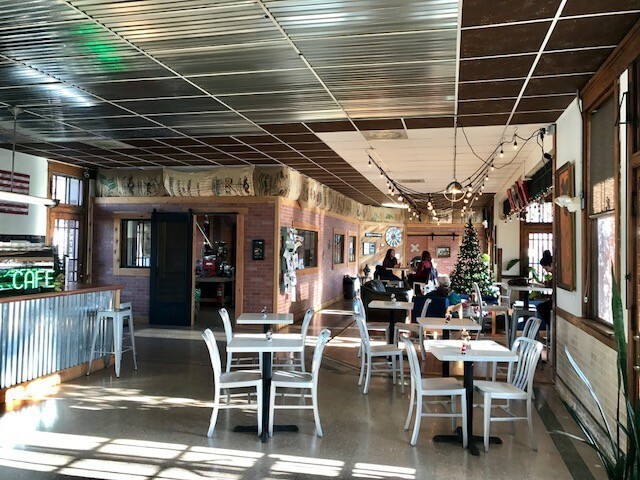 Inside you’ll find comfortable reading areas, work stations with free wi-fi, a chalkboard wall for the kiddos, popup yoga classes, and even a space for local gardeners to pick up used grounds for their gardens. No detail has gone unnoticed and every item is used to the fullest, which is why you’ll discover biodegradable and compostable cups. There’s also a lot on the horizon for this cute little shop. Plans are in the works to obtain their liquor license and start offering coffee cocktails. They are also expanding their food options, approaching it from a “from-scratch” mentality. Vegan and gluten-free breakfast and dessert options are currently available. Someday soon you may see additional locations as well as online whole-bean sales and potentially even local delivery services. Part of the struggle of moving to a new area is finding all of those local haunts that you come to know and love. Rest easy knowing that one of the hardest parts– finding your new, go-to coffee joint– has been done for you. The answer is clear: it’s Balance Coffee & Tea. It’s a bonus that their hazelnut latte will change your life. We here at Avenue Realty especially enjoy taking new and potential clients to Balance. It’s the perfect space to discuss what life here in Belleville looks like and to talk about what exactly our clients are looking for in their dream homes. Find Balance at 732 S. Illinois Street in Belleville. They’re open daily: Monday-Thursday, 6a-8p, Friday 6a-9p, Saturday 8a-8p, and Sunday 9a-4p. Check them out on Facebook & Instagram, or at balancecoffeeandtea.com!